PPEF - We further physiotherapy knowledge and skills for the benefit of the public. We also promote research and its dissemination to the wider public. We offer grants to fund post-graduate education and research into physiotherapy that will benefit patients and the public, supporting those giving care to anyone in need of physiotherapy. Grants are awarded three times a year to individuals and organisations. PPEF was founded in 2001 as a Registered Charity and a Limited Company. 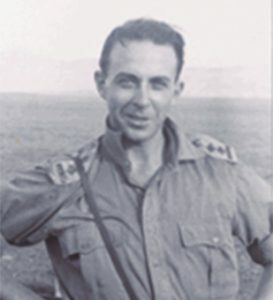 The Charity owes its formation to its benefactor Kenneth Balfour who wished to leave a large part of his estate to the Organisation of Physiotherapists in Private Practice, the OCPPP; (the previous name of Physio First). PPEF awards grants widely within the physiotherapy profession to applications that fall within its objects. PPEF also works closely with Physio First but is independent from that organisation. PPEF awards grants widely within the physiotherapy profession to applications that fall within its objects.PPEF also works closely with Physio First but is independent from that organisation. There are eight Trustees. The ideal make-up of the Board is one physiotherapist representing Physio First, three clinical practising physiotherapists, two with experience in higher education, one financial expert and one lay person (who may also be the financial expert). Please click on our trustees below to find out more. I qualified as a physiotherapist in July 1982, worked for 6 years in clinical practice, obtained an MSc in Rehabilitation Sciences and entered the field of physiotherapy education and research. In 1992 I was part of a team who set up a new School of Occupational Therapy and Physiotherapy with an emphasis on Inter-professional education at the University of Southampton. In 2002 I became the Director of Learning and Development for the Chartered Society of Physiotherapy, covering all matters of education and research. In 2004 I became Associate Dean for Consultant Practitioner Development in the Wessex Deanery; and in 2005 as the Allied Health Professions Advisor for the national Workforce Review Team (part-time). Sandy represents Physio First on the Board of Trustees. 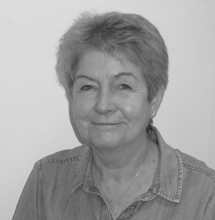 She is a private practitioner with many years experience and a past Chairman of Physio First. Michael is a member of the Institute of Chartered Accountants (FCA) and the Chartered Institute of Taxation (CTA). His career has been spent, principally, in the London Insurance Market as Finance Director/Company Secretary/Compliance Officer of a number of Lloyds Insurance Brokers and insurance companies. 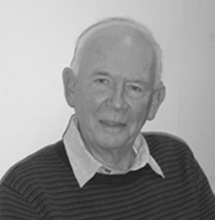 Michael has been Honorary Treasurer of The Private Physiotherapy Educational Foundation since 2004. Lin is semi- retired after 43 years of physiotherapy practice, 35 of those running a busy private practice. She is past Vice President, Editor and Conference Chair for Physio First and after a short rest/sabbatical hopes to resume some part time clinical work. Lin has been a Trustee since 2016. 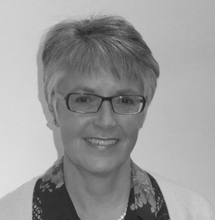 Gillian has enjoyed a long career as a physiotherapist in the NHS, Occupational Health and physiotherapy education. She spent 21 years in private practice, combining that with both undergraduate teaching (mainly the musculoskeletal syllabus) and postgraduate education, leading a Master’s degree for all AHPs. Gillian was on the CSP’s Council for 12 years, where she sat on various committees, including Education and the Scientific Panel. 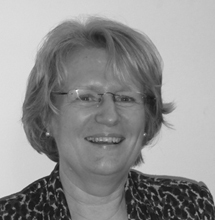 She has also been an external examiner for several post graduate validated courses and MSc programmes. 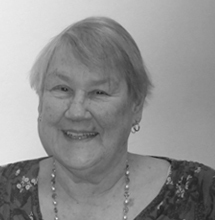 Gillian has been a PPEF Trustee since 2004. Louise has been a trustee of PPEF since 2014. She has run her own private practice in Bristol for the last 20 years. 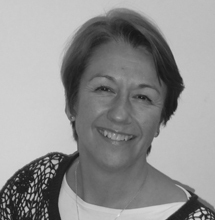 From 2001 to 2009 she was Physio First’s Regional Officer for the South West region and from 2009 to 2013 she was Honorary Editor of In Touch (The Journal For Private Physiotherapists). Membership of a charity such as PPEF can bring real benefits both to the work of the charity and for society in general. When a charity’s members are active in shaping the agenda and objectives of their charity, the trustee body is refreshed and its accountability to its members is improved. Membership is a common governance model in the Charity sector. Its popularity looks likely to continue – The Charity Commission estimates that approximately 80,000 charities have a membership structure. Their research indicated that charities with members overwhelmingly saw the role of membership as positive, with 84% of charities with individual members and 81% with corporate members stating that their members made a useful contribution to the running of the charity. Applying to PPEF for a grant is very easy. Download the relevant application form, complete and submit with any necessary accompanying documents e.g. confirmation of a place on a course, to PPEF by email and by post. The Trustees meet in January, June and September to consider applications and will usually inform you of the outcome of their decision within a few days.